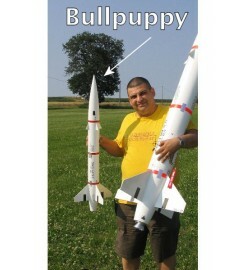 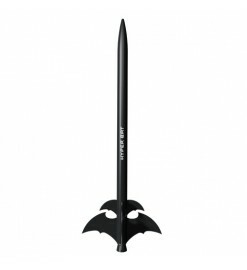 Build and fly a model rocket, make your dream come true! 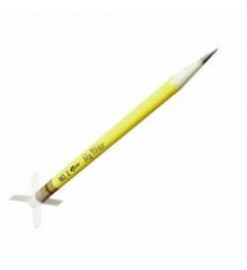 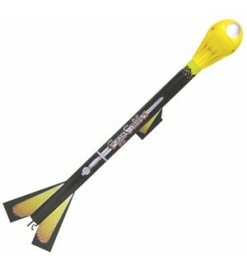 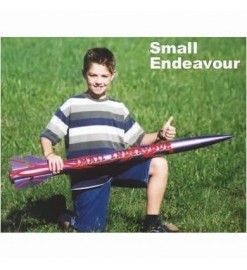 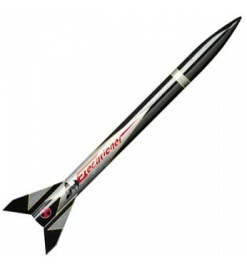 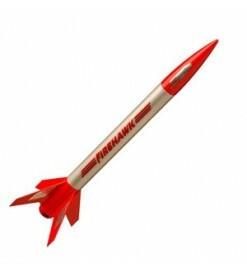 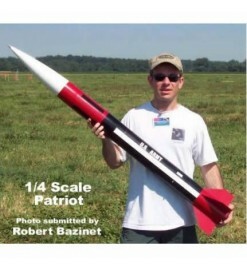 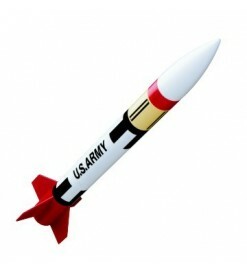 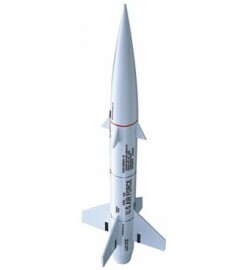 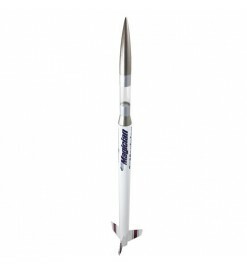 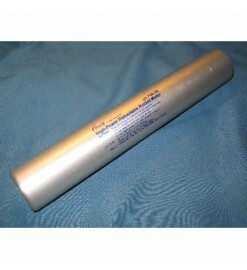 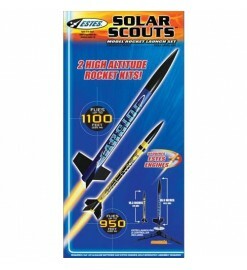 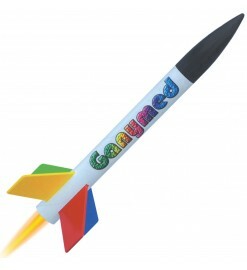 Online shopping for model rockets and high power rocketry since 1999! 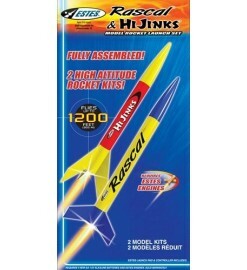 Welcome to one of the largest selections of rocket kits, rocket accessories and rocket motors in Europe. 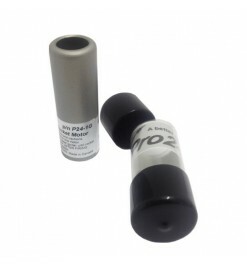 Browse through hundreds of products actually in stock and available for you, shipped to your address worldwide quickly and safely! 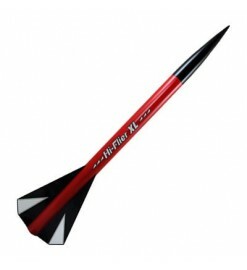 The return of a great classic! 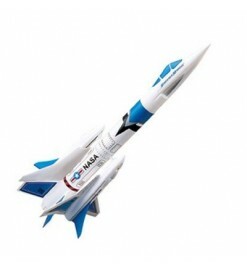 The Citation Patriot is a beautiful model that flies with B and C engines, large and spectacular. 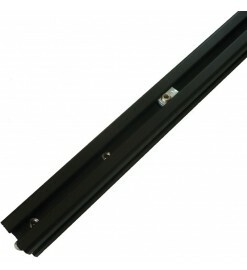 This rail is mounted on the Klima launch pad and replaces the normal launch rods, for greater stability. Nylon parachute, diameter 55 cm. Light and strong. 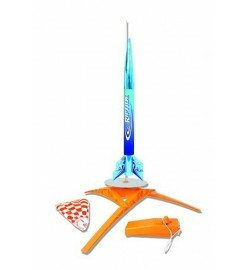 Launch Set complete with one easy to assemble rocket for beginners, launch pad and launch controller. Launch Set complete with 2 rocket models easy to assemble, launch pad and launch controller. 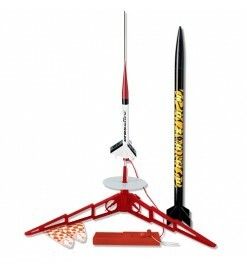 Easy to assemble Launch Set including one rocket, one launch pad and one launch controller. 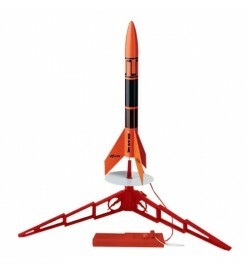 Easy to assemble, the Show Stopper does exactly what it says: you will stop to see it flying! 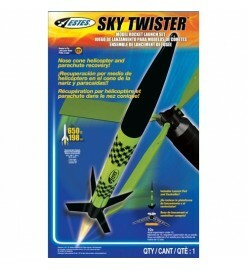 It is designed to fly with 24 mm motors (Estes C11 and D types). 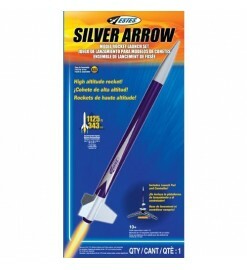 The many chromed parts make it easy to see it in the sky and after landing. 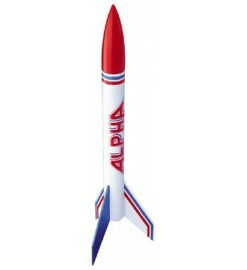 Almost ready to fly (ARF) model rocket. 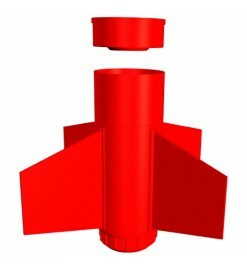 Fly it with standard motors (B, C and 18 mm D), but if you add the BT-55 Booster you get a two stager which flyies to incredble altitudes. 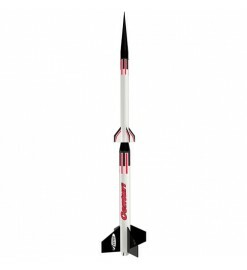 This rocket takes only a few minutes to be ready to fly. 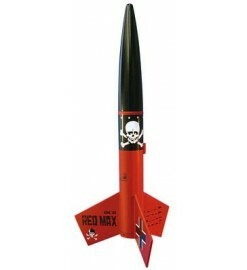 Slip the fins in place, connect the parachute, put a motor in the motor mount and you are ready to fly it. 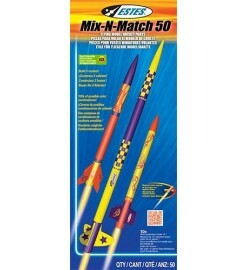 Flies with standard motors (Estes B, C and Klima D9), but can be transformed into a two stager by adding a BT60 Booster with a D12-0 motor. 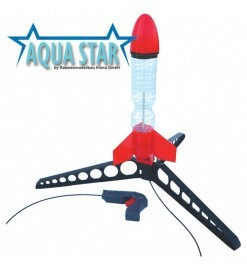 A complete water rocket system which works with almost all commercially available PET bottles! 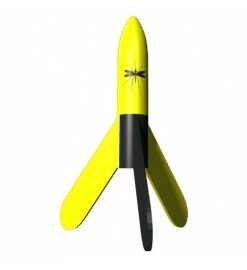 Can be assembled without using adhesives or tools, and flies up to 100 m fly using only water and air! 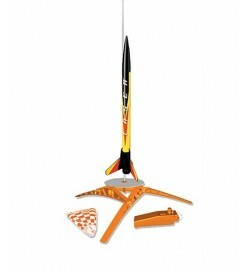 Easy to assemble, can be ready to fly in a couple of hours. 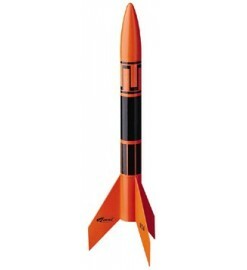 The Flip Flyer body is recovered with helicopter blades, while the nose cone is recovered by parachute. 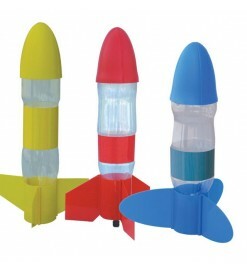 Set of parts enough to build up to three different rockets. 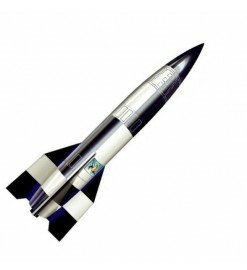 Follow your fantasy! 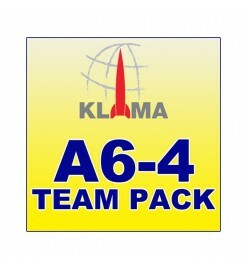 Set of parts enough to build up to three different rockets based on BT-55 body tube. 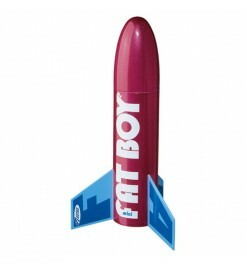 Follow your fantasy! 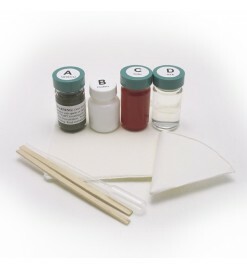 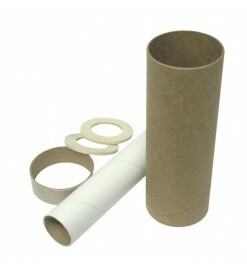 Set of parts enough to build up to three different rockets based on BT-60 body tube. 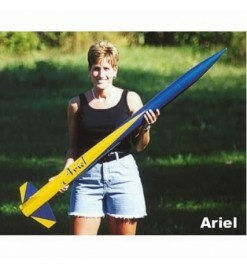 Follow your fantasy! 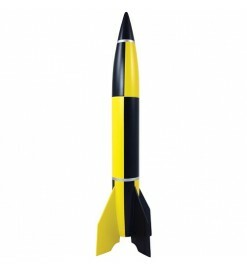 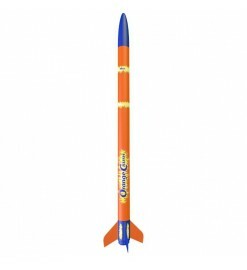 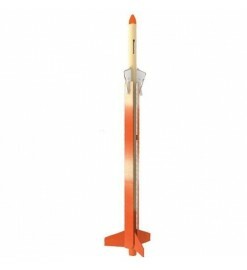 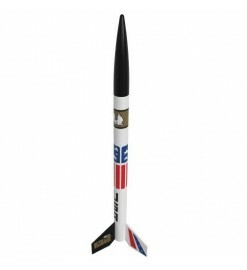 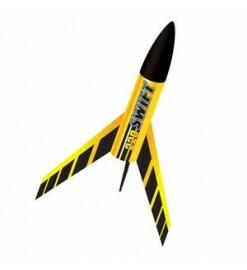 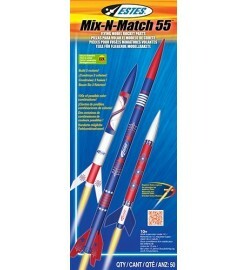 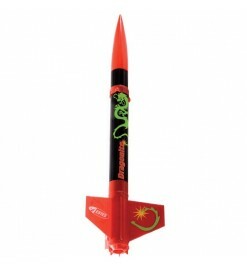 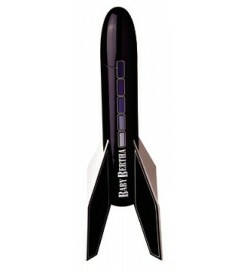 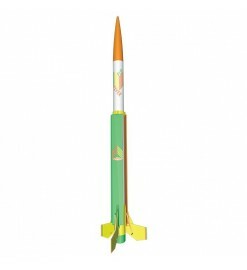 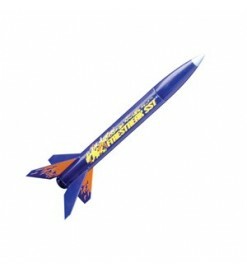 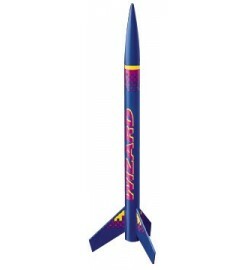 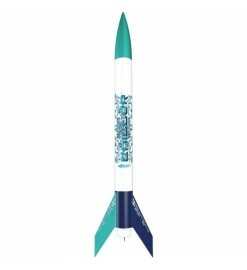 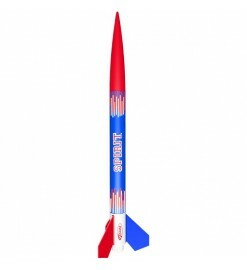 E2X - Easy to Assemble Rocket kit made with multi-colored plastic parts. 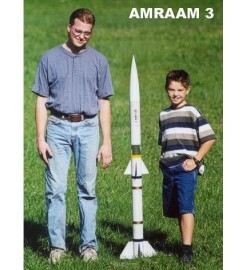 Easy to assemble and no paint is necessary. E2X - Easy to Assemble A good rocket for beginners. 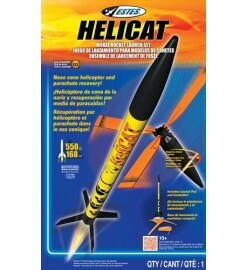 Easy to see in the sky thanks to the glittering body tube. 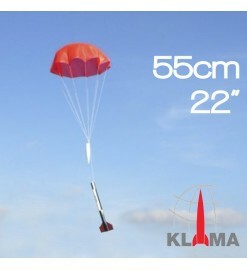 Powered by standard 18 mm Estes or Klima motors and easy to assemble. 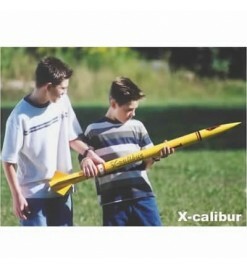 No pianting and finishing required. 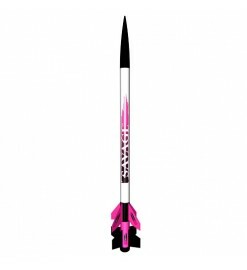 Skill Level 2 A unique addition to Estes rocket line. 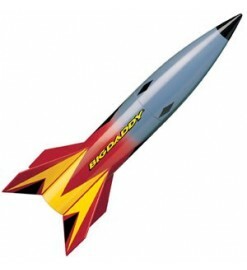 Powered by standard Estes or Klima engines, the shape of this rocket will surely grab attention at the flying field. 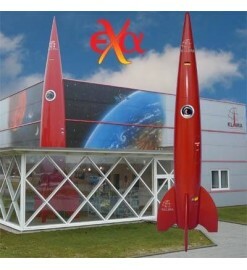 E2X - Easy to Assemble Easy to assemble and no paint is necessary. 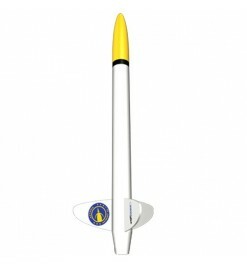 Powered by 24 mm motors for high altitude flights. 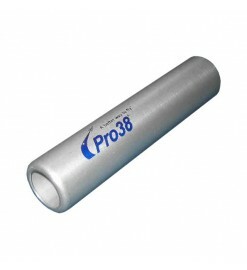 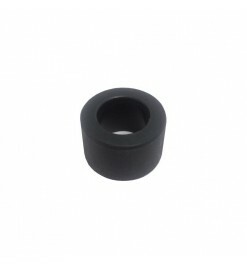 Casing for P54-3G Cesaroni 54mm reloadable motor. 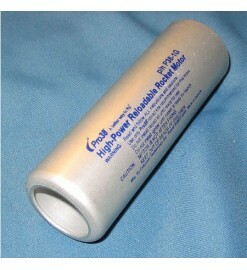 Pro54 reloadable hardware includes the case only, NOT the Aft Closure. 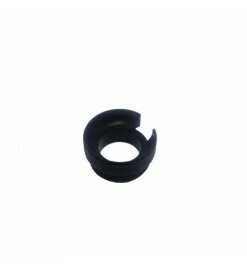 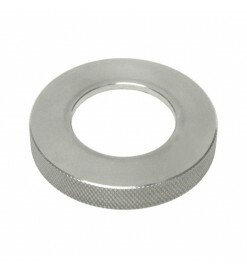 Threaded rear closure for all Cesaroni Pro54 reloadable rocket motors. 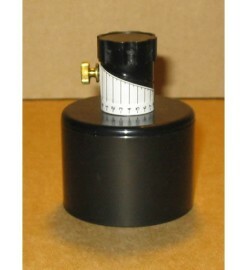 Casing for P24-1G Cesaroni 24mm reloadable motor. 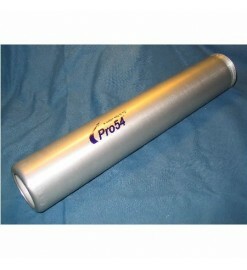 Pro24 reloadable hardware includes the case only, NOT the Aft Closure. 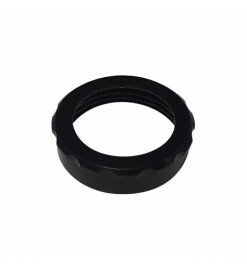 Adapter to use the Pro38-DAT delay tool with Cesaroni Pro24 reloads. 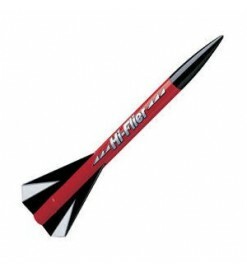 Credit cards, PayPal and bank transfer are welcome. 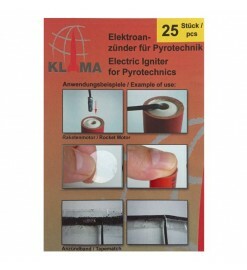 Any product on our webshop is shipped anywhere in the world. 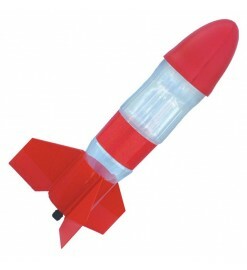 Orders are dispatched within 48 h from your order. 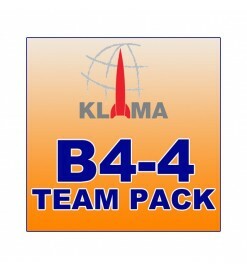 Discount software and downloads for Flight Simulator. 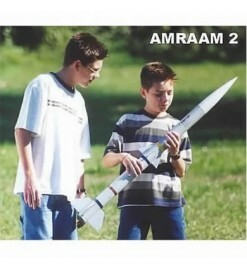 Aviation shop for pilots and aviation enthusiasts.